Even the best houses on the market still face the issue of getting buyers’ attention to show them that it’s better. And that comes down to price, because that’s how buyers search for homes. Today almost 90% of buyers use the internet to search for homes. And the majority of agents use the internet to notify their clients of the best homes. Let’s consider how a typical online home search is conducted and you’ll immediately see why it’s important to price your home correctly. The average home buyer enters in just a few search criteria: price first, and then number of bedrooms and bathrooms. And from those three items, a typical MLS will display hundreds, maybe even thousands of homes that meet the buyer’s needs. From that list, the buyer and their agent quickly scroll through to find the few homes that they want to visit in person. 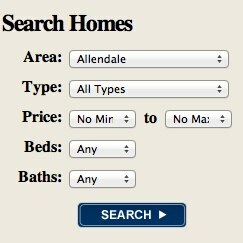 Search results group homes in price “brackets” or ranges—which may be ten thousand dollar or twenty-five thousand dollar increments. It varies. But the fact that these brackets exist and drive what buyers and their agents see is critical in pricing right. When you price your home out of its optimal price bracket, a buyer sees homes in the next price bracket, which may be larger and have more features and amenities in comparison to your home. Effectively what you’re doing is ensuring that people who search in the higher price bracket will find your home among hundreds of other homes that may be newer, bigger, and perhaps have more amenities. And keep in mind that the buyer and the buyer’s agent are eliminating choices immediately without ever setting foot in the home — based only on online descriptions that put your home at a disadvantage. By pricing your home in the next price bracket, your home could be eliminated, without ever being seen by the right buyer. What’s worse, the right buyers — those searching for a home just like yours, and all that your house has to offer, may not even see your home in their search results and wouldn’t have the opportunity to make it one of the few they tour in person. To compete and win, your house has to offer the most room and amenities for the best possible price compared to competing sellers’ houses.